When I came home from the doctor's, I found a package on the front doostep -- All my mail orders came in already so this one was a surprise from JustJenn. She sent the baby-on-the-way, some hand made goodies! Thanks Jenn! Since I came home early that day, I also made biscotti from this book that Anne got for me. They're very very good. I cheated of course and ate a couple. The biscotti looks yum. I would have cheated too. Yikes! 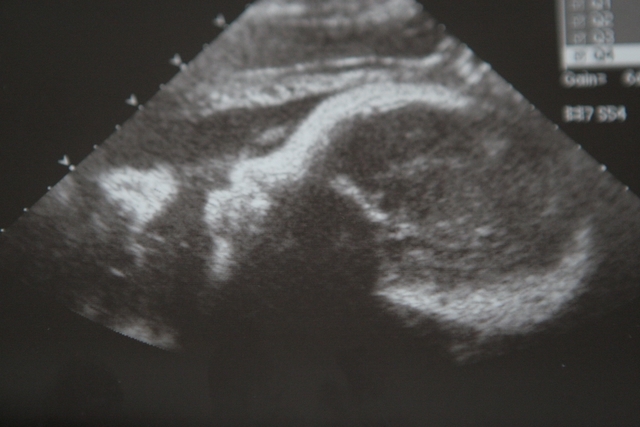 I can't believe the baby will be arriving shortly! How exciting! 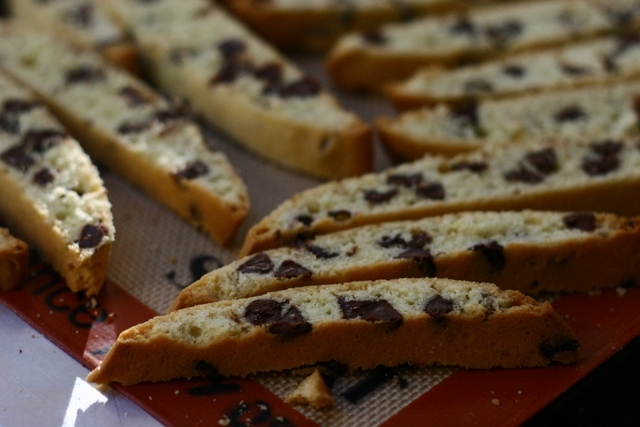 The biscotti looks so yummy! The quilt is fab, and what a cute little chicken, great goodies! Wow, it's right around the corner now isn't it? Love how the quilt is coming along. And the biscotti looks super ono! The quilt is lovely. I like the color combination. God you are so much more crafty than me. I'm totally doing that easy quilt thingie. Someday. I tried the beard papa cream puffs today and it's the best. I wonder how many calories it has, but now whenever I go to Kinokuniya I will just have to have one. That's the cutest duckie, love the tiny webbed feet. 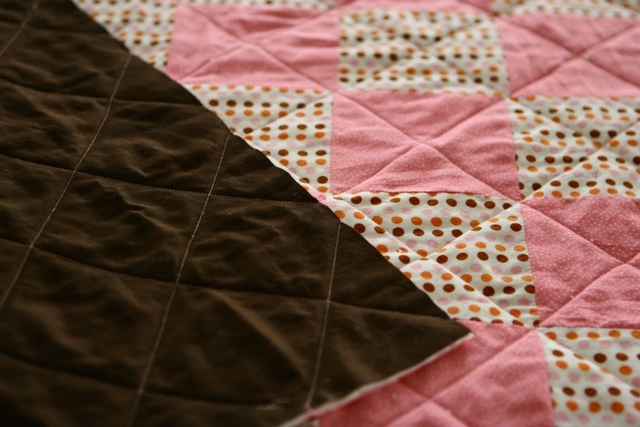 And the brown just makes the pink quilt so special -love the combination. Best wishes on the baby! i agree, that duck is too too cute!! your projects look awesome too!!! dont have much time left, eh?! i bet you are excited!!!! best wishes on these last few months! oops, i meant weeks, not months! gosh, you dont want any more months of pregnancy haha! What a beautiful quilt. I love the chocolate brown with the pinks. 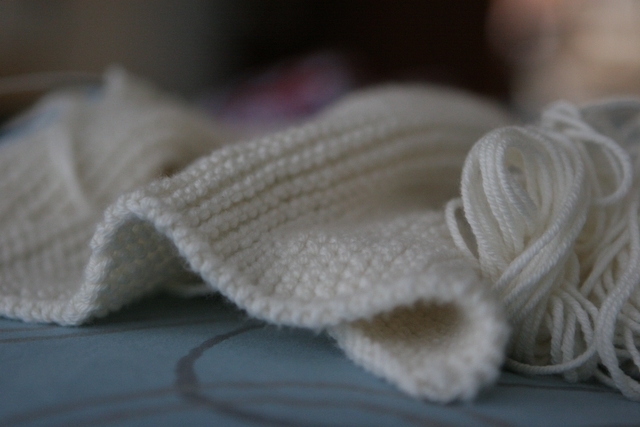 I really like the cross hatch quilting pattern, much more interesting than stitch in the ditch. Your goodies are really cute. I think the second one is much easier and I'm sure it will be the same for you. Good wishes.